The PRO-3000 is a better version of the PRO-2300. 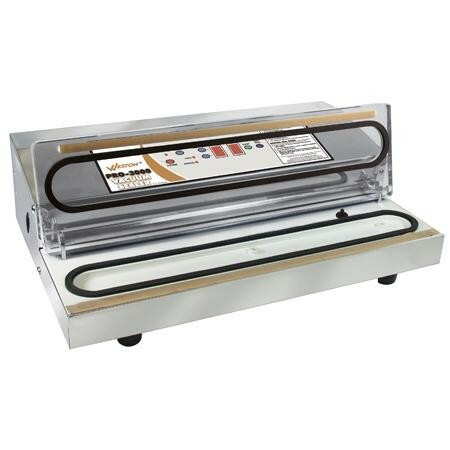 It is a 16" commercial grade, stainless steel vacuum sealer with a 5mm seal width. The double piston pump delivers 28" Hg of vacuum with 935 watts of power. Easy to use, bright digital readout allows full control over vacuum process. 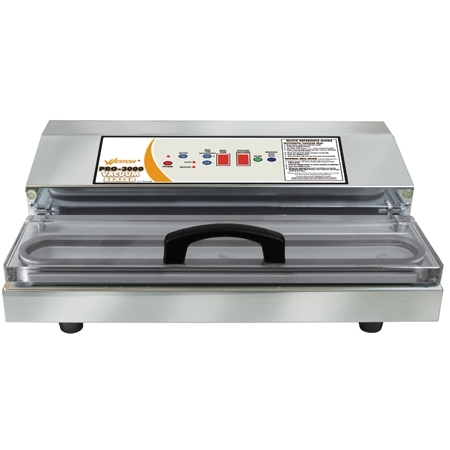 Automatic mode has one-touch operation, the vacuum and sealing are controlled automatically. In the manual mode, the amount of vacuum pressure can be controlled manually. The adjustable seal time allow sealing of different thickness vacuum bags plus, by being able to control the seal time, you can do continuous packaging without pausing. Very easy to operate, and instruction is clearly labeled on the unit. 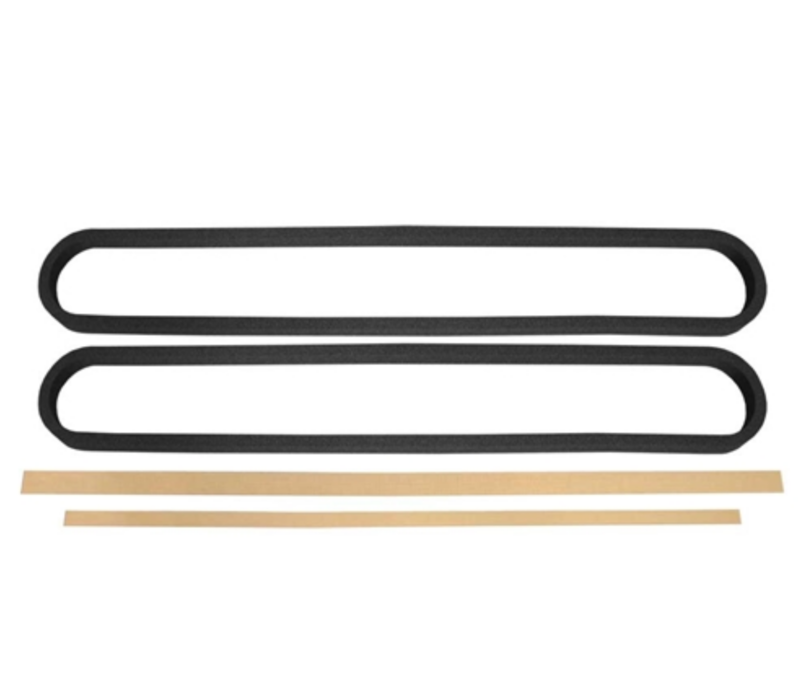 Extra piece of PTFE adhesive is included with the sealer. 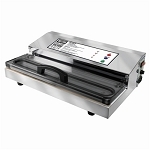 Come with a fan cooled motor, a see-thru acrylic vacuum lid and a detachable power cord with storage compartment. Unit does not ship with any bags. 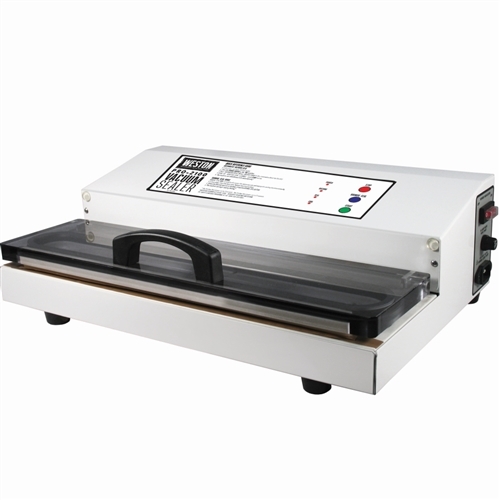 The Pro 3000 offers adjustable seal time, two digital displays to monitor seal time and vacuum progress, and internal cord storage. With a 935 watt motor and 28" HG vacuum strength, this for the serious user who needs full control of the sealing process.